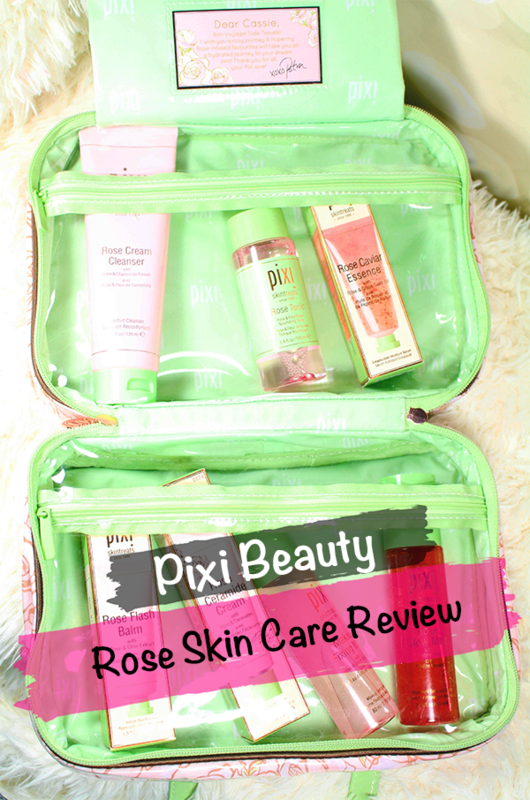 A few weeks ago I received another amazing package from Pixi Beauty, this one contained not only a hanging makeup bag, BUT also several of the Pixi Rose Skin Care products! 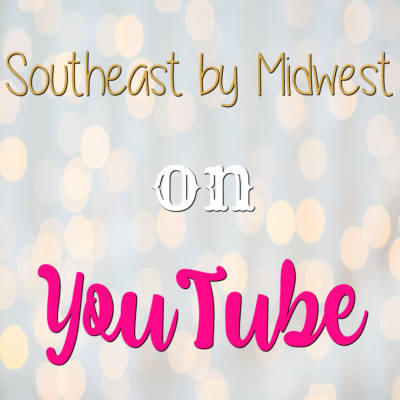 I’m going to give you a run down of the different Pixi Rose Skin Care products and my thoughts on them in the video down below and also in this post so just keep scrolling! The Pixi Makeup Melting Cleansing Cloths are Pixi’s entry into the makeup remover wipe market. These cloths have chamomile and grape seed to calm the skin but are strong enough to remove waterproof makeup. I will say that the scent doesn’t smell strongly of chamomile, which is a bonus for me, and they do remove waterproof makeup, HOWEVER, for me these are very flimsy wipes and I felt like I had to be a bit tougher with them to keep them from going “limp noodle” in my hand while I was using them. As such, they have moved to my “swatch removing makeup wipes” drawer. The Pixi Makeup Melting Cleansing Cloths come 40 to a package, so a normal purchased package is bigger than what is pictured above, and retails for $10.00. You can pick them up at Target or Pixi Beauty. 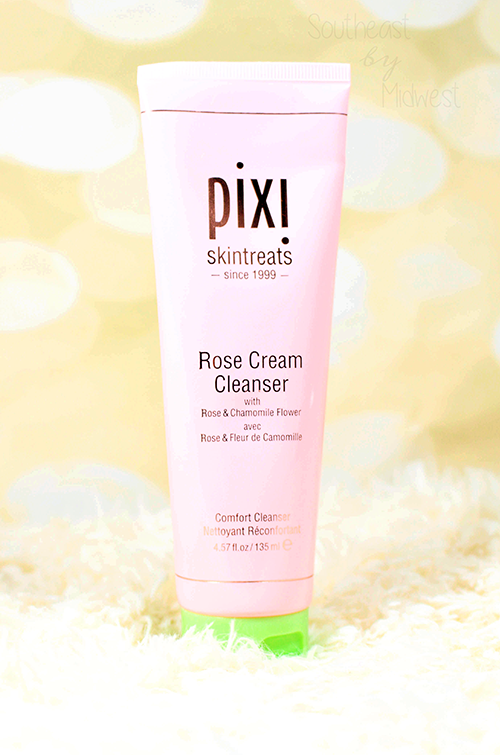 The Pixi Rose Cream Cleanser is a cream cleanser that also contains mud! The Rose Cream Cleanser also contains rose, duh!, and avocado for conditioning of the skin and chamomile and aloe for soothing the skin. Essentially this cleanser will soften, strengthen, and is good for all skin types. This is actually my favorite product in the whole set! I love to put it on my dry skin and let it set for about a minute, like a mask, and then jump in the shower to apply a bit of water to it so it gets all sudsy and then rinse it off. My skin hasn’t felt cleaner and smoother while not feeling stripped! The Pixi Rose Cream Cleanser is 135 mL or 4.57 oz. and retails for $18.00. You can pick it up at Target or Pixi Beauty. 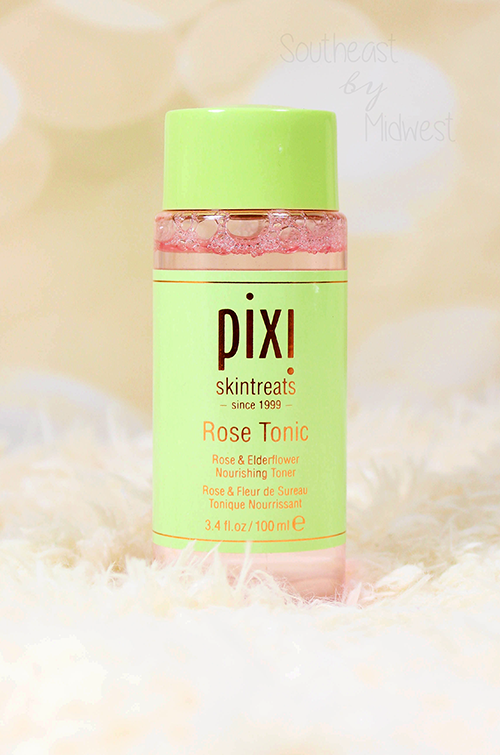 The Pixi Rose Tonic is a soothing toner that helps to normalize hydration levels in the skin. The difference between this tonic and the Glow Tonic is that the Glow Tonic is an exfoliating toner while, as I said, the Rose Tonic is a soothing toner. Before you ask, yes you could FOR SURE use both of these in your routine. You could exfoliate in the mornings and soothe in the evenings, you could exfoliate on certain days and soothe on others, or you could even use the Glow Tonic only one day a week and the Rose all the rest. The skin care world is your oyster, tone as you see fit! For myself, I like to use the Glow Tonic on days that I KNOW I’m really dry or my eczema patches are starting to play peek-a-boo and the Rose Tonic all the other days. Fingers crossed that I stay on the PR list through this year’s holiday season and that the gift for this year is a giant ROSE Tonic!! The Pix Rose Tonic is 100 mL or 2.4 oz. and retails for $15.00. You can pick it up at Target or Pixi Beauty. The Pixi Rose Caviar Essence is an essence/serum that was actually sent to me previously, you can check out my previous review here. Essentially, this is has concentrated flower oils that are suspended in a weightless serum/essence. The flower oils are there to soften, refine, and tone the skin along while the essence/serum is there to hydrate and restore brightness to the skin. While how wet this looks may make you think it made just for dry skin, it is not, all skin types can actually use it. I LOVE this serum and am so glad to have another one in my arsenal! 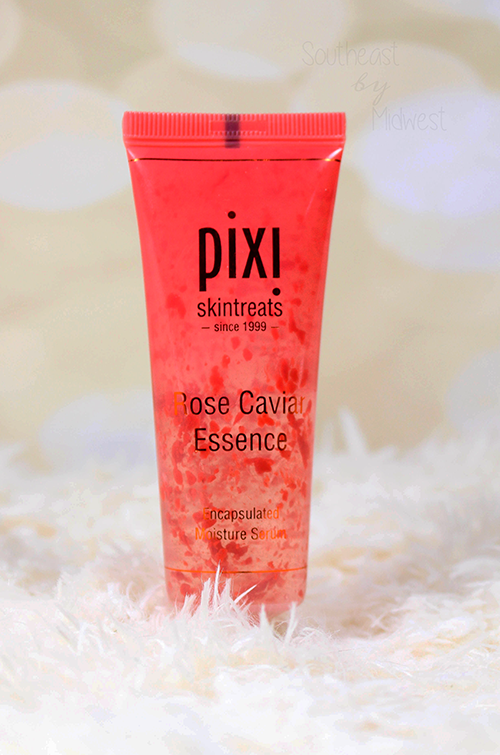 The Pixi Rose Caviar Essence is 45 mL or 1.52 oz. and retails for $24.00. You can pick it up at Target or Pixi Beauty. The Pixi Rose Flash Balm is a 3-in-1 moisturizer, primer, and mask…I know, I know, I KNOW…you’re asking yourself “HOW can it be all THREE!” Due to the Rose Flash Balm being quick absorbing you can apply your regular moisturizer, apply a think layer of the balm, skip your primer and you just used it as a primer; you could also skip your moisturizer, apply a thin layer of the balm, and apply a primer and you just used it as a primer; if you don’t have super dry skin you could actually skip both the primer and moisturizer and apply a layer of this and use it as both! Now for the mask, you apply the balm in a thick layer and let it sit for 2 to 3 minutes and then rinse off. In my previous review, which is with the Caviar Essence previous review above, I said that this worked best as a primer for me and I stand by that. My skin is still to dry to get away with using just this as a moisturizer and it doesn’t have the right..texture? consistency? for what I personally like in a mask. However, as a non-pore filling primer? I LOVE it! 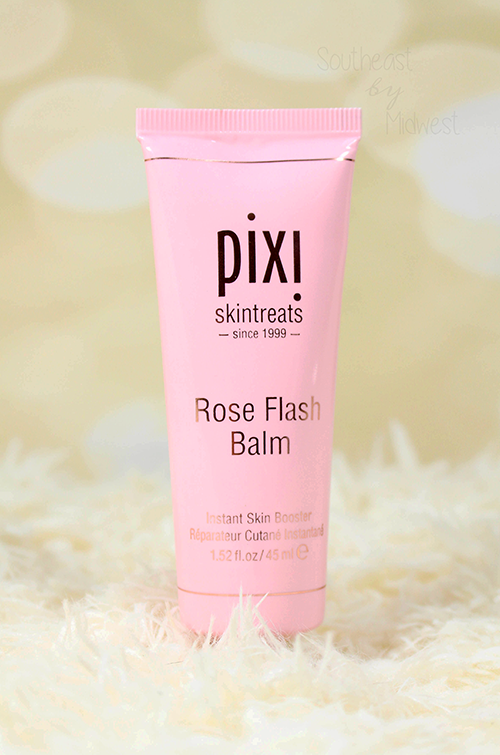 The Pixi Rose Flash Balm is 45 mL or 1.52 oz. and retails for $24.00. You can pick it up at Target or Pixi Beauty. 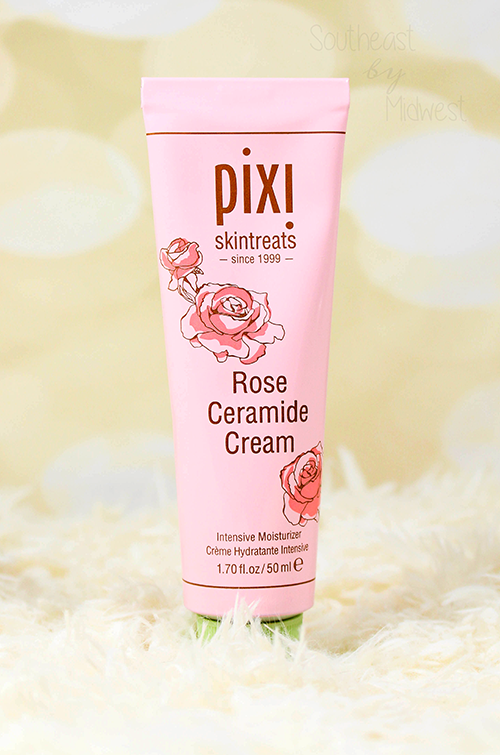 The Pixi Rose Ceramide Cream is 50 mL or 1.70 oz. and retails for $24.00. You can pick it up at Target or Pixi Beauty. 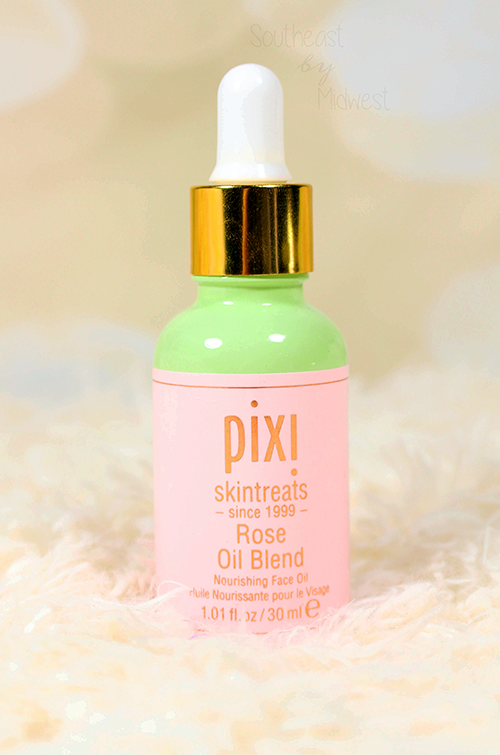 The Pixi Rose Oil Blend is 30 mL or 1.01 oz. and retails for $24.00. You can pick it up at Target or Pixi Beauty. 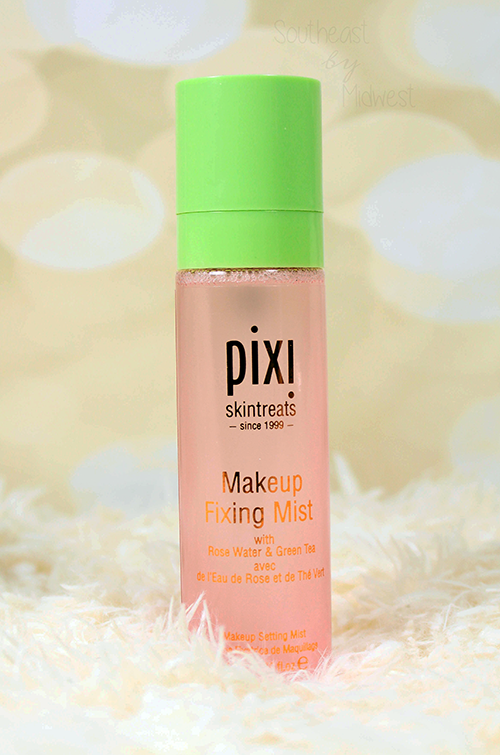 The Pixi Makeup Fixing Mist is a makeup spray that melds makeup together, similar to MAC Fix+. 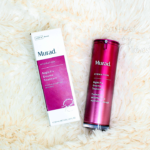 This Makeup Fixing Mist has rosewater and green tea to protect and balance the skin and it does an AMAZING job of making your makeup look melded together. 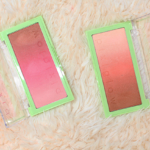 I’ve actually reviewed this twice before, once as part of a multi-misting that Pixi was promoting which you can read here and then as part of their Summer Makeup Essentials last summer and you can read that here. 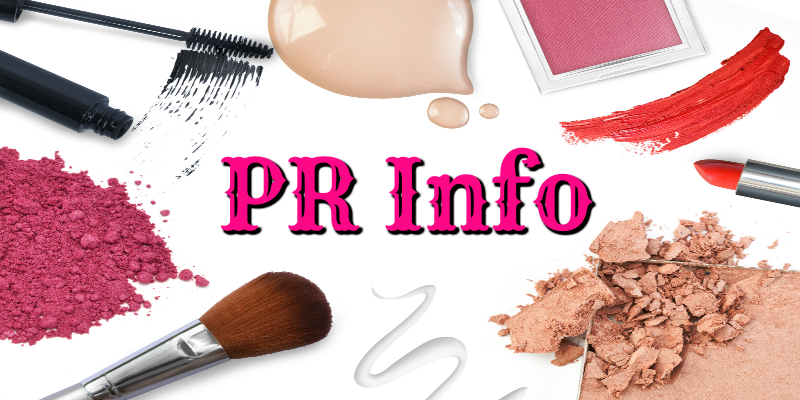 The Pixi Makeup Fixing Mist is 80 mL or 2.70 oz. and retails for $15.00. You can pick it up at Pixi Beauty. 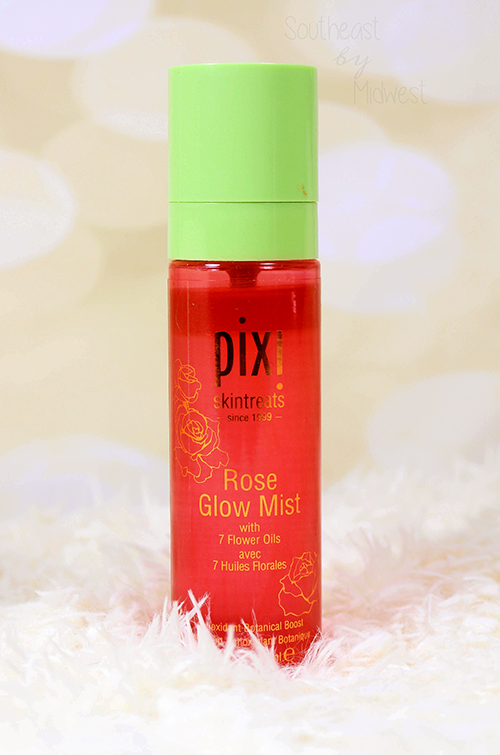 The Pixi Rose Glow Mist is a dual-phase mist that is new to Pixi’s mist line-up. Part of the mist gives a natural glow to the skin while moisturizing and improving the skin’s elasticity. The part of the mist is made up of different oils like rose oil (moisturizes), argan oil (hydrates and smoothes), and avocado oil (antioxidants). I LOVE spraying this at the end of my skin care routine and I don’t care if it’s in the morning before doing my makeup or in the evening before going to bed! I also LOVE to spray this at the end of my makeup routine once I’ve sprayed the Makeup Fixing Mist! The Pixi Makeup Fixing Mist is 80 mL or 2.70 oz. and retails for $15.00. You can pick it up at Target or Pixi Beauty. As I say in the video, you probably don’t want or need all of the parts of this skin care routine. While I recommend that everyone use a toner because it helps bring the skins pH back to normal after cleansing and gets any leftover dirt or cleanser left behind, I know that a lot of people don’t do this step because they don’t see results and don’t want to waste money. If you don’t tone then you can of course skip the toner and if you’re not someone that likes makeup sprays then skip the sprays. If you’re someone with dry skin I HIGHLY recommend the Rose Caviar Essence and the Rose Ceramide Cream. The product though that I recommend for anyone and everyone is the Rose Cream Cleanser. Seriously, that is an experience that I think everyone should have! 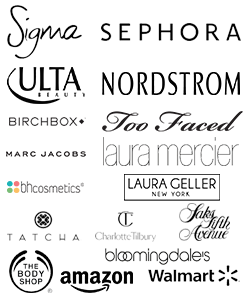 Don’t forget to signup for Ebates to get cash back at either Pixi Beauty (currently 4% cash back) or Target (currently 1% cash back). 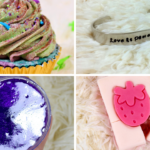 What a wonderful selection of goodies! The travel bag is especially cute! You did an excellent job of explaining how to use each of these. I was surprised to get the whole collection. I took the bag and a mini of the Rose Glow and Tonic Glow with me on my vacation. I really am eager to try their even newer collection that’s citrus. I really like the rose cream cleanser and the new makeup remover wipes. Such an amazing collection of skincare products. I love this system, too bad you can use the rose oil, I love it! I’m going through this collection a little at a time and already love it! So gentle on my recently hypersensitive skin! There is best skincare routine in this article. I have used its rose tonic and it provides an even texture to the skin. Thanks for sharing.